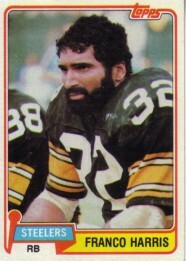 1981 Topps card of Pittsburgh Steelers Hall of Fame running back Franco Harris (#220). NrMt. SOLD.